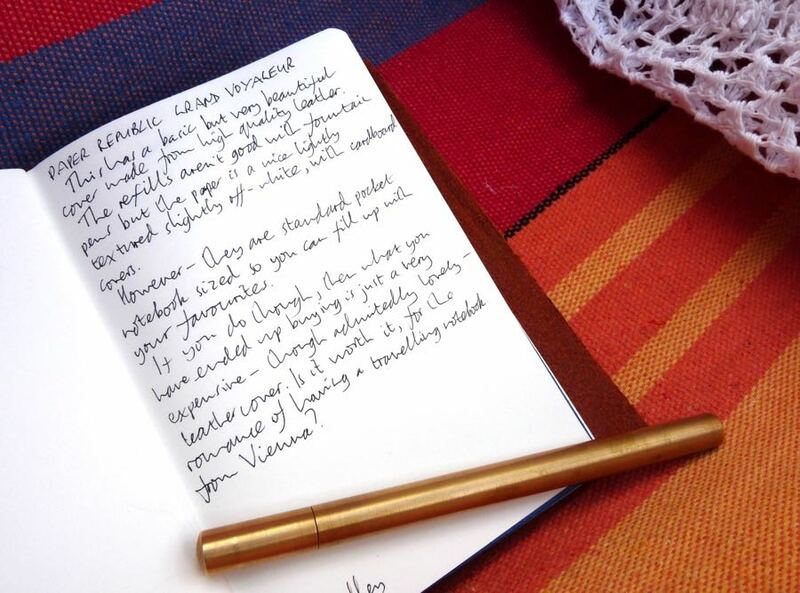 Paper Republic Grand Voyageur Notebook Review – Pens! Paper! Pencils! 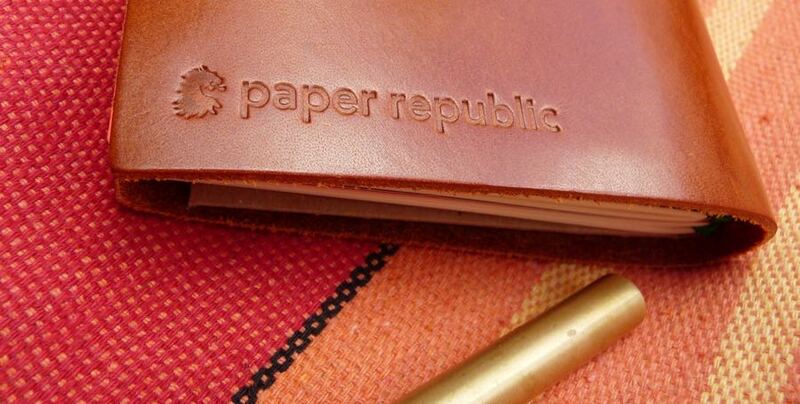 Paper Republic’s Grand Voyageur is a notebook system consisting of a leather cover and a range of refills. Available direct from Paper Republic, the smaller version I’m reviewing here costs €40 for a cover and plain refill, with free embossing of your initials should you so wish. Mine is the cognac version – covers are also available in red or black. There is a larger size available for €60. 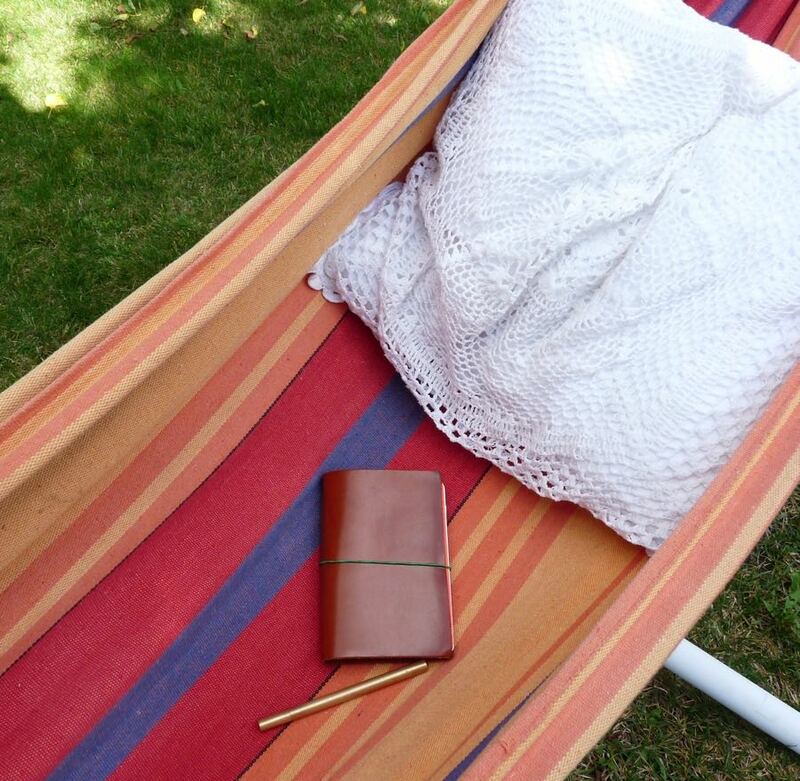 These notebooks have been around Europe before they even arrive: the paper’s Swedish, the leather is tanned in Tuscany and the company is based in Vienna. The ribbon comes from Japan. The cover is beautiful. It’s a lovely colour and it smells fantastic. According to Paper Republic, it’s made “from fragrant leather tanned with plants, herbs and wood.” It’s thick and will develop a lovely patina with use. The refills are a little disappointing. The paper itself looks lovely, with a light texture and a slightly off-white colour. 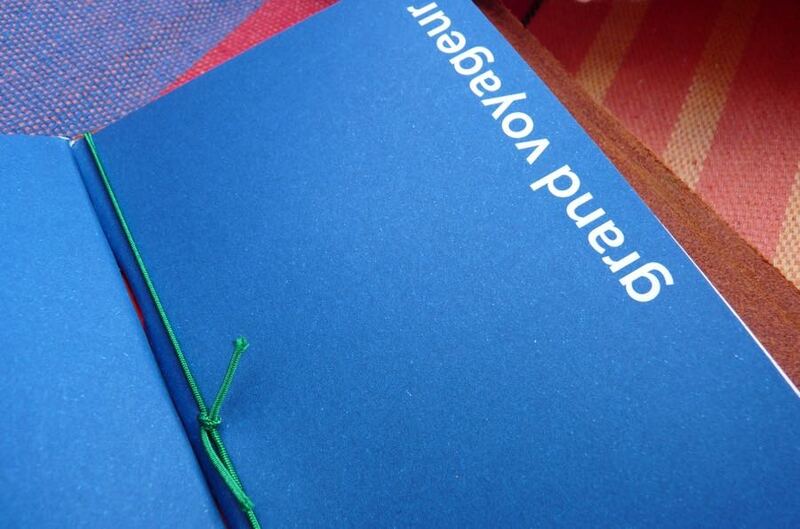 The covers are a rich dark blue cardboard (except for the diary, which is a kind of funky neon orange). They’re available lined, squared or plain. The disappointment comes because they aren’t at all friendly to fountain pens. 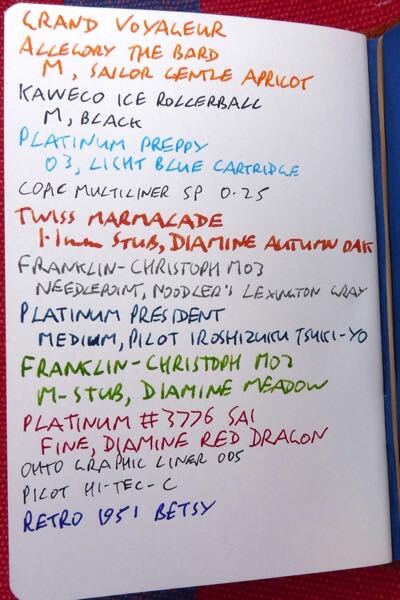 While you may be able to find a nib and ink combination that works for you, you really need to stick to non-fountain pens. It’s a shame, given how good they look and how beautiful the cover is. 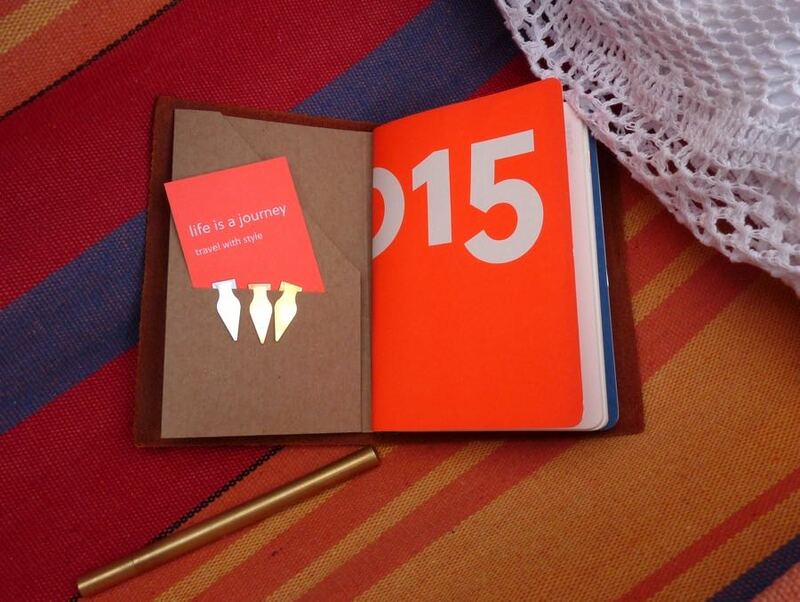 However, they are a standard pocket notebook size which opens up a whole world of alternatives. 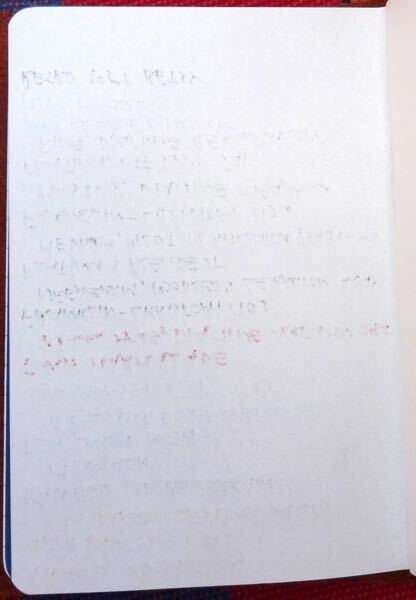 You could put an even less fountain-pen-friendly Field Notes in there or a fountain-pen-loving Calepino, for example. In the pack Paper Republic sent me there were also some metal bookmarks, which I’ve purloined to use all over the place, and a cardboard card holder, which is very convenient. There is some stiff competition in the refillable leather covered notebook category. The one that came to mind first, for me, was the Davis Leatherworks cover, which is about the same size and available in a large range of colours and cost about half as much, although if you live in Europe you’ll end up paying about the same by the time shipping and customs are taken into account. The leather isn’t quite as thick but I’ve used them for years and they don’t wear out. 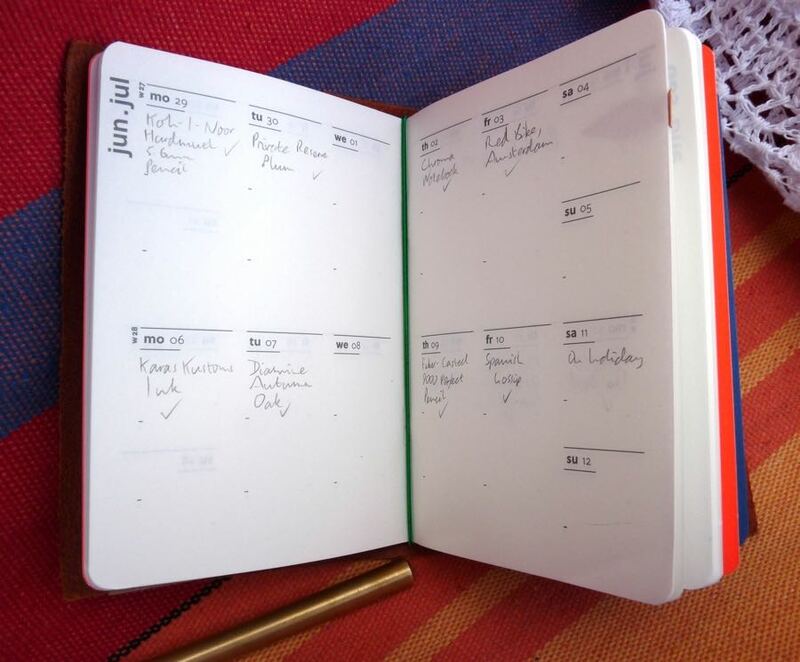 It’s also impossible to avoid a comparison with the Midori Travelers Notebook, which costs about the same. 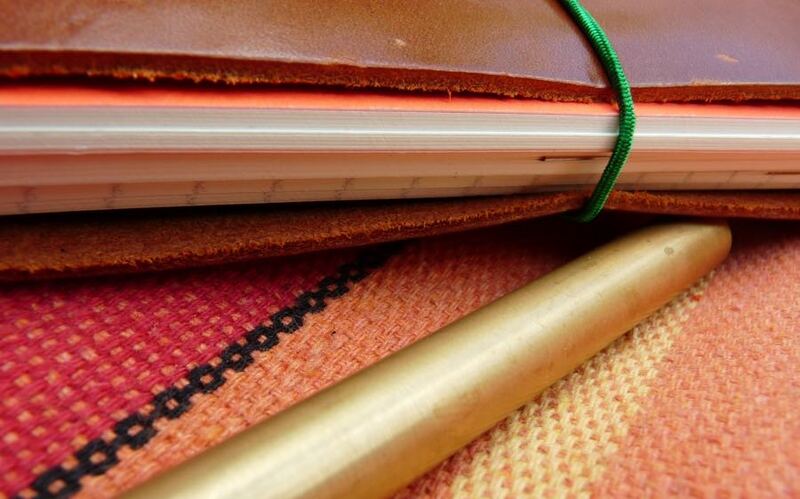 Midori use thicker leather and have lovely fountain pen friendly refills. They are a proprietary size, though, and so you’re tied into a much smaller (and potentially more expensive) range. 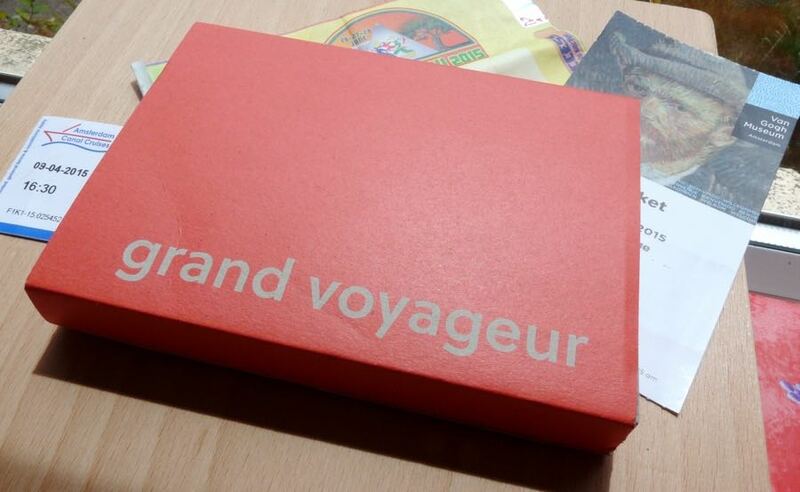 There’s no doubt that, as with the Midori, you are paying a premium for the Grand Voyageur. You get a good quality product that ought to last a lifetime but that’s not all that you’re paying for. You’re paying for an experience too. You’re paying to hold and use something that comes with a certain mystique. Yes, this is ninety per cent marketing but we buy into that all the time, with pens, with cars, with food. . . I get more pleasure out of using my Midori TN and this Grand Voyageur because the experience is more than the physical product. They’re objects made with care that grow with you over time and they’re objects sold to appeal to our romantic sides, to our joy of travel and (in my case, very safe) adventure. This makes me happy and is worth a little extra; even if it is mostly clever marketing. 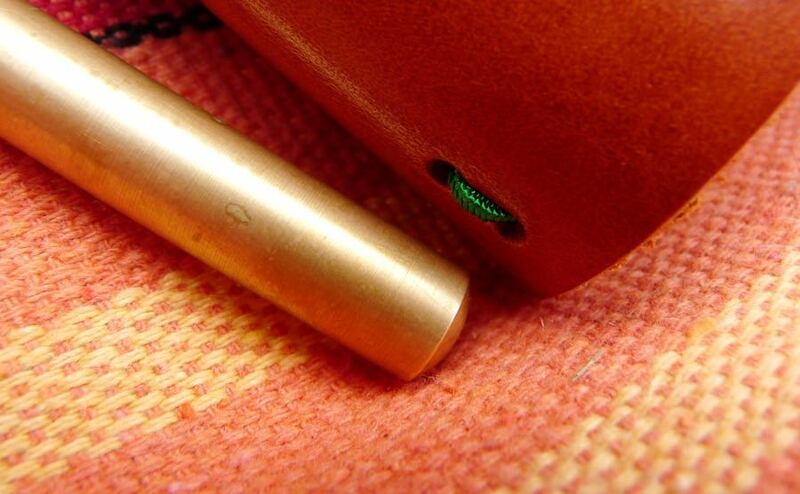 If you’d like to read more, Gourmet Pens did a fantastic review over here. Shucks. Thanks for the mention. I’m really looking forward to seeing how this changes over time. Mine is stuffed with Field Notes now lol (also fountain pen-unfriendly, but I have so many). I read Gourmet Pens review and bought just the cover and one book. It meant I missed out on the metal bookmarks – which are not in stock alone (curses) – but I am loving this cover. At the moment I’m using up their notebook but I have checked and it fits the Clairefontaine notbook I have perfectly and I love it. I have a Midori as well, but this is a delightful cover for the notebook I carry around in my pocket – where the Midori Passport “bobble” kept catching and as I have three notebooks in it was too thick. Great review by both of you of a wonderful product. And you get what you pay for – quality. Even down to the handwritten note sending me good wishes from Austria. It was a few weeks wait for it to arrive (even when it is being sent inter-Europe so no Customs issues) but it was worth it. Thank you very much, I am very glad you liked it! If you are still interested in the metal bookmarks, they are called Book Darts (http://www.bookdarts.com/) and are made by a US company. You can buy them in bulk from the company for cheaper. I’m really enjoying the hundred I purchased a year ago. Thank you for the review, your opinion means a lot!